Recognizing that there are incidents that require special mitigation needs, The Montgomery County Fire-Rescue Service operates multiple “Specialty Teams”. Falling under the county’s Special Operations Command, each team is designed to answer a specific type of incident need. These teams include the Hazardous Incident Response Team (Haz-Mat), The Urban Search And Rescue Team (USAR), and the River Rescue And Tactical Services Team (RRATS). While primarily responsible for response within Montgomery County, these teams will also respond to neighboring jurisdictions to assist on large scale incidents. Sandy Spring’s Special Operations Division houses a component of the River Rescue and Tactical Services Team. 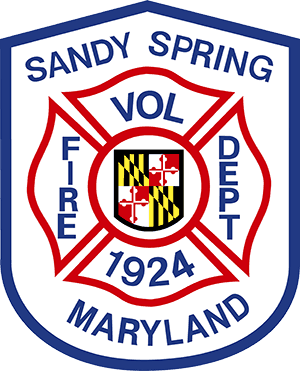 Additionally Sandy Spring’s Special Operations are trained and certified as Wildland Firefighters with particular interest in the Wildland Urban Interface. The RRATS Team is comprised of Swift Water Rescue Technicians (SRTs) who specialize in River, Flood, and Ice Rescue. While this team’s main component is housed in Cabin John along the Potomac River, Sandy Spring’s RRATS cover the North-East Side of the county along the Patuxent and Hawlings River Basins. During periods of heavy rain or tropical depressions the team will become a dedicated water asset, Meaning while others staff the regular apparatus such as the ambulances or fire engines, the RRATS personnel will only staff the boats. This ensures they are available for response should there be a water related emergency such as flooding, or stranded motorists in swift or high water. Sandy Spring’s SRTs are also responsible for emergencies on our local bodies of water used for recreation and fishing. Included is the Triadelphia and Rocky Gorge Reservoirs, Lake Hallowell, The small lakes in Olney Mill and Olney Manor Park, Lake Needwood, and Lake Bernard Frank. These areas combined equal approximately 2,500 acres of water. Our special operations personnel are required to train monthly, this is above their normal fire rescue training and stand-by requirements. They train with other departments such as Cabin John Park, and Germantown in various bodies of water to ensure they have a diverse knowledge of the county’s rivers, lakes, and low lying flood prone areas. These dedicated, professional rescuers make it their goal to ensure that Sandy Spring provides the best service it can to you… our neighbors, friends, and families. Do you have what it takes? Come join us and make a difference in YOUR community.